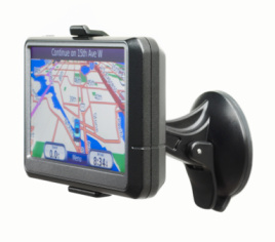 GPS stands for Global Positioning System. It is a satellite based navigation system. The GPS system utilizes satellites that have been put into orbit by the United States Department of Defense. This system help people determine their exact location i.e. exact positioning by latitude, longitude and altitude purpose can be anything like personal navigation, vehicle tracking systems, military activities or even to get position of your dog or your fishing boats by installing GPS respectively in dog collar or fishing boats. Let’s take a small ride to history and know how it all started. GPS systems all started out in the army in the year 1970, as for military purposes soldiers needed some navigation system to know their directions around other countries. Basically it was intended for military purposes only but in 1980 it was open for civilian use also. This device was very useful during the war as it saved soldier’s time and lives. Its very interesting to know how this system works. GPS works with 24 satellites in the orbit. The first satellite was launched in 1978 and the twenty-fourth was finally placed in 1994. This constellation of orbiting satellites that provides navigation data to military and civilian users is known as NAVSTAR. GPS satellite orbits the earth every 12 hours (twice a day) emitting continuous navigation signals in any weather, these satellite run in a specific orbit that is about 12,000 miles above us, these satellite travel as fast as 7,000 miles an hour. With the proper equipment user can receive these signals to calculate time, location velocity. The signals are so accurate time can be figured to within a millionth of a second velocity within a few feet. Receivers have been developed for use in aircraft, ships and land vehicles as well as for hand carrying. The GPS receiver compares the time a signal was transmitted by a satellite with the time it was received. The time difference tells the GPS receiver how far away from the satellite it is. Now with this distance measurement from a few more satellites the receiver can determine the user’s position and display it on the unit’s electronic map. In order to calculate latitude and longitude position receivers receives information from three satellites, if it has to calculate altitude also then it must be able to receive information from four or more satellites. Once the user’s position has been determined, the GPS unit can calculate other information such as sunset time and other information. When the satellites are in orbit, they are powered by solar energy, there can be chances when there is no solar energy as an eclipse, and in that case backup batteries power it. They need the energy for the rocket boosters on each satellite to keep them running in the correct orbit. At one time about 50 Watts of power or less is used to transmit information. Each satellite is built to last about 10-15 years and the US department of defense is constantly making and launching replacement satellites. Each satellite weighs about 2,000 pounds. GPS satellites transmit signals on two carrier frequencies. The L1 carrier and L2 carrier. L1 carrier is 1575.42 MHz, is used for civilian purposes and the L2 carrier is 1227.60 MHz and is used for more precise military purposes. These signal travel by line of sight i.e. they will pass through clouds, glass and plastics but will not go through most solid objects such as buildings, mountains. Pseudo-Random code – this is an I.S. code that identifies which satellite the information is being sent from. Ephemeris data – It tells the receiver where the satellite should be at any time of day. Almanac data – It is constantly transmitted by each satellite and it contains important information about the status of satellite (healthy or unhealthy), the current date and time. The Almanac data is the part that is essential for determining the user’s position. Atmospheric Conditions also known as Ionosphere and Troposphere delays. One source of inaccuracy is reduced speed of propagation in ionosphere and troposphere. While radio signal travel with the velocity of light in the outer space, their propagation in the ionosphere and troposphere is slower. The GPS system uses a built-in model that calculates an average amount of delay to partially correct for this type of error. This occurs when the GPS signal is reflected off objects such as tall building or large rock surfaces before it reaches the receiver. This increases the travel time of signal, thereby causing errors. It is difficult to completely correct multipath error, even in high precision GPS units, multipath error is a serious concern to the GPS user. Although the satellites are positioned in very precise orbits, slight shifts of the orbits are possible due to gravitation forces. The resulting error is very low its not more that 2m. A receiver’s built-in clock is not as accurate as the atomic clocks onboard the GPS satellite. Therefore it may have very slight timing errors. This refers to the relative position of the satellite at any given time. Ideal satellite geometry exists when the satellite are located at wide angles relative to each other. Poor geometry occurs when the satellites are located in a line or in a tight grouping. GPS technology has matured into a resource that goes far beyond its original design goals. These days scientists, sportsmen, farmers, soldiers, pilots, surveyors, hikers, delivery drivers, sailors, dispatchers, lumberjacks, fire-fighters, and people from many other walks of life are using GPS in ways that make their work more productive, safer, and sometimes even easier.